This was a landmark year for our mother company, which has been trading since 2002. We launched the first affordable dental service to benefit those in the UK. The original idea stemmed from the realisation that dental fees in the UK were well above the EU average. They were also much higher than the average dental fees seen in countries such as Poland and Hungary, which had newly joined the EU at that time. Thus we created a service called DentistAbroad that would assist patients in finding experienced dental providers, and to facilitate dental tourism. In 2005 the average price for a completed single dental implant to replace a single tooth was approximately £2,500-£3,000 in the UK. The same treatment cost approximately £800 in Budapest or Krakow. Our service quickly became very popular, offering significant savings for many people. The UK media highlighted the opportunities offered by the service, raising the issue of dental tourism in the process. It highlighted dental tourism as an example of how the UK’s inflated dental treatment fees could be avoided by seeking expert treatment elsewhere. 2005 saw the beginning of the rise of dental tourism – or ‘dental travel’ as it was also referred to. We become the first dental organisation arranging treatments abroad to establish a consultation and aftercare service based in the UK. The driving force behind this was simple – that dental treatments should be easily accessible and safe for all patients. Our first dental implant consultations took place at 86 Harley Street in August 2006. By the middle of 2006 dentists working for DentistAbroad were treating more than 100 British and Irish patients every month. Additionally they were placing more than 150 dental implants per month. Interest in our services grew even more by the end of the year. Consequently we were already treating patients at the Harley Street practice, placing dental implants on a regular basis as a result. We were also among the first dentists to start using the SLActive dental implants created by Straumann, a leading dental implant manufacturer. These were revolutionary and offered new quick healing implants for patients, thus reducing the treatment cycles required in the process. By 2007 we were treating thousands of patients; our dentists placed over 2,500 dental implants this year alone. Our colleagues were practicing in both London and Budapest. We realised that in order to provide the best possible care for our patients in London, it would be necessary to establish a permanent London practice. This would reinforce our continuous and total commitment towards safety and quality, while ensuring our dental treatments were as affordable as possible. Our organisation was the first one in the dental travel market to open a permanent London practice. We achieved this goal by the end of 2007. We purchased the first floor offices at 46 Harley Street, and we have been based there ever since. It is important to note that many dental providers and practitioners rent their offices rather than buying them. In contrast we have invested heavily in buying our practice, demonstrating our long term commitment to our patients. You can be assured that we will still be there to offer help, advice and other treatments if necessary, long after your initial treatment is successfully completed. Our dental services in London and our commitment to dental travel flourished in 2008. Our Hungarian dentists treated an ever increasing number of patients throughout the year. We also made high quality dental treatment abroad even more affordable, by offering free accommodation in Hungary while the treatment was taking place. 2008 also saw our organisation introduce Medical Travel Industry Finance options for treatments that have been carried out abroad. This option has remained exceptionally popular ever since. High value treatments can now be financed via this method, maximising the savings but also making the monthly cost of the treatment more manageable for our patients. Thus 2008 was also the year when more complex and aesthetic dental treatments became available – and affordable – for those who could not provide a deposit. At the same time, we launched the first truly affordable and complete all-round private dental service at our Harley Street practice. We established A3 Medical Ltd with the sole intention of providing expert dental treatments in Harley Street. Among the affordable treatments provided are implants, root canal treatments, dentures, teeth whitening, bridges and crowns. We also took the opportunity to review and completely renew our team during this important stage in our development. Consequently we selected the best and most experienced dentists with special interests in the their fields to ensure that we were able to provide continuously outstanding success rates. Dr Attila Toth became dentist principal, as did Dr Gabriella Sarok. Both dentists have produced the highest quality work with an exceptionally high success rate ever since. As most of us will remember, this was the year that the credit crunch hit. 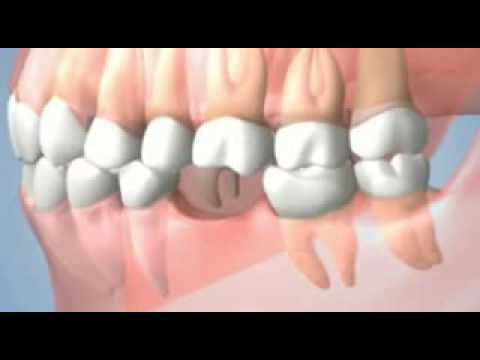 Consequently there were many huge changes in the area of dentistry from this point on. 2009 saw the cost of private dental treatments plummeting. Dental providers were forced to offer deep discounts, lowering their margins to continue receiving patients whose pockets were being continually squeezed from all sides. The team at A3 Medical Ltd realized that prices for dental treatments and implants were set to collapse so it proved to be the ideal time to introduce new implant brands. 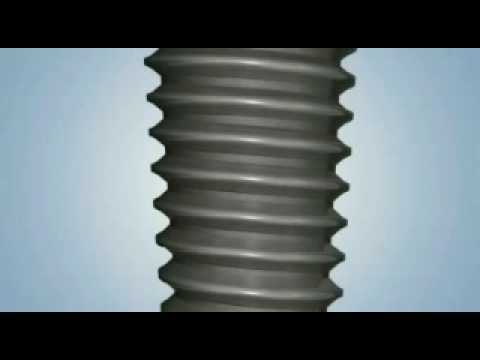 Indeed we were one of the first organizations to start using implant products manufactured by American Implant Direct. We also took steps to renegotiate the cost of materials with suppliers. This resulted in us being the first group to bring down the cost of a single dental implant to below £1,200. This was an all inclusive price which included years of warranty on the work provided. Furthermore we realised that the lack of available credit and the squeeze on peoples’ finances would mean the expected huge surge in dental travel would not now come to fruition. Thus we took appropriate steps to ensure we could perform even the most complex dental implant treatments at our Harley Street practice. We offered professional sedation (provided by an experienced sedationist) for those who required full mouth reconstructions. We also made this available for our most nervous patients, thus making even the lengthiest and most difficult treatments available to all our patients. 2009 was therefore the year where we shifted our focus from treating patients affordably abroad to treating them in London. By implementing the steps detailed above we were able to provide this service while also maximising the savings available to patients. As a consequence of this hard work, our London practice was running almost at full capacity every month during 2009. However the credit crunch did see many people delaying major treatments, opting instead to get only the most vital and necessary treatments completed. Many of these were minor in nature but were expertly completed by our experienced team. In the meantime we continued to make more improvements to our practice. We focused on developing our customer care skills even further, while many members of our team completed a variety of professional courses. These included dental nursing, practice management and many other related diplomas and certificates. Dr Attila Toth, our head implant dentist, completed a major course in Implantology at the reputable Munster University in Germany. As a consequence he was awarded the title Master of Oral Medicine Implantology. The London practice enjoyed a very busy year. We introduced further implant brands, including the Israeli Alpha Bio’s spiral implant. This is now owned by the largest implant manufacturer Nobel Biocare from Sweden. We also implemented a further series of cost cutting measures and increased our productivity level. This enabled us to become the very first London based dental practice to be able to offer a single dental implant treatment for less than £1,000. 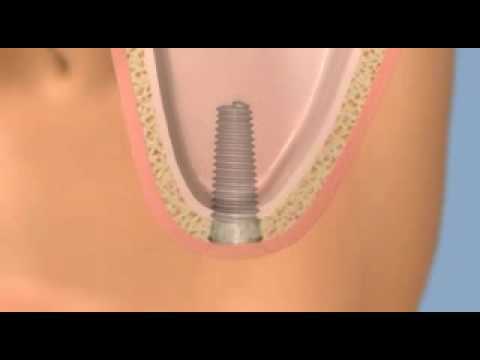 In the meantime the average cost of a dental implant treatment in the UK dropped to £1,500. This represents a staggering drop of 40% in just two years. Another big step forward for our London practice was our decision to introduce extended opening times during the weekend. This was made possible by growing our team significantly in size. Since 2010 our practice has been almost constantly open for treatments on Saturdays and Sundays, as well as every weekday. Our extended opening hours reached 80 hours per week for the first time in this year. By the end of 2010 we completed more than 15,000 appointments with our patients. This year saw people becoming tired of the credit crunch. They simultaneously realised that oral health is always very important, regardless of the economical circumstances. 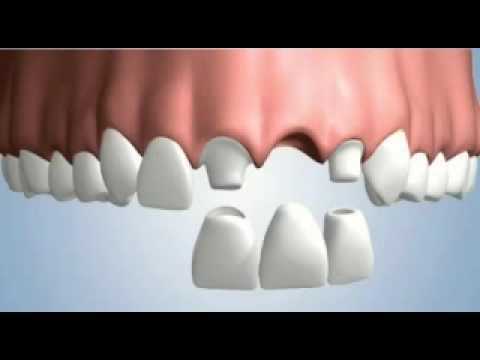 As a consequence, the number of implant treatments we carried out slowly began to climb. We recruited further young and very talented implant dentist associates to Dr Toth to help with increasing demand. We also launched a successful campaign in southern England to boost awareness of the fact that teeth implants are no longer unaffordable. The campaign also focused on the fact that implants are often the best possible solutions for coping with tooth loss. Dr Toth also helped to launch a premium service that offered premium quality products and services. We launched another huge campaign at a later date, bringing these premium service prices down to the regular level for a limited period of time. Owing to our long and successful history of providing high quality services, the interest in this campaign was immense. One single day saw the purchase of more than 200 single dental implant treatments by patients. This turned the campaign into one of the most successful of its kind ever registered in the UK. 2011 also saw the success of our old website reach new heights. There were days when more than a thousand people were looking for information on dental implants on our website. The rising level of interest in dental implants, our various high quality services and the increased amount of work our practice was handling meant we were often running out of available appointments for our patients. Significant delays were becoming more prevalent, and this led to the decision to completely refurbish our practice in the early months of 2012. The additional treatment unit has enabled us to free up more appointments to cater for more patients in a much shorter time period than before. Even with this new addition we are never running at less than 80% capacity at any one time. May 2012 saw us place more than 120 dental implants in a month for the first time. Impressively, our reported failure rate is still well below 0.5%, remaining far superior to the generally accepted failure rate for the industry as a whole. We are about to introduce further treatments including Invisalign, the almost invisible brace system. This will be done with the help of one of the most reputable Harley Street Invisalign expert, Dr Raj Kumar. We will also be introducing a dedicated orthodontist team and will be able to perform the most complex root canal treatments. Every new treatment will continue to be made available at our most reasonable prices. Another forthcoming development will be our aesthetic dental implant range, a first in the UK. We take great pleasure in assuring all our patients that we will continue to work very hard on making and keeping dentistry affordable and accessible to everyone. We will also remain fully committed to providing high quality treatments with high quality results and lasting smiles. In order to receive up to date information about further developments at our London practice, we invite you to sign up for our newsletter. Please fill in your name and email address to be added to our email list so you can receive further updates in future.